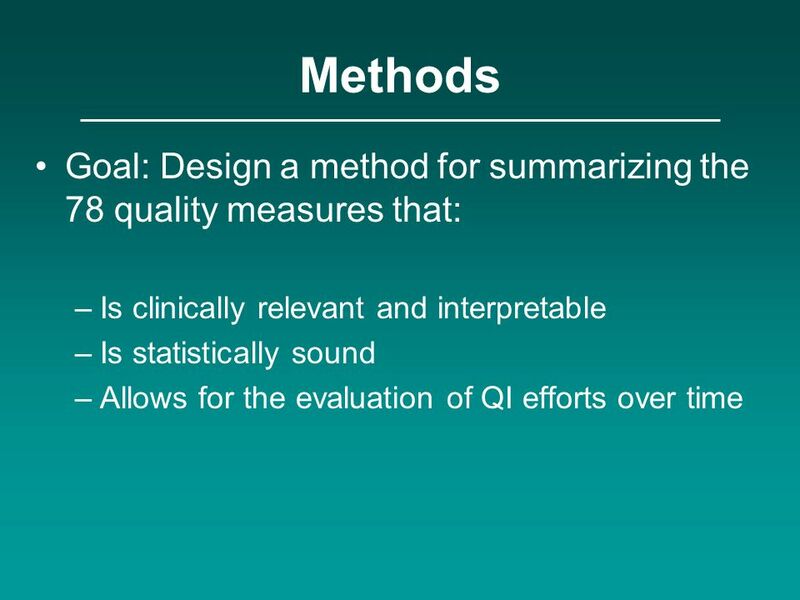 4 Background Quality indicators are helpful tools for translating research into clinical practice. 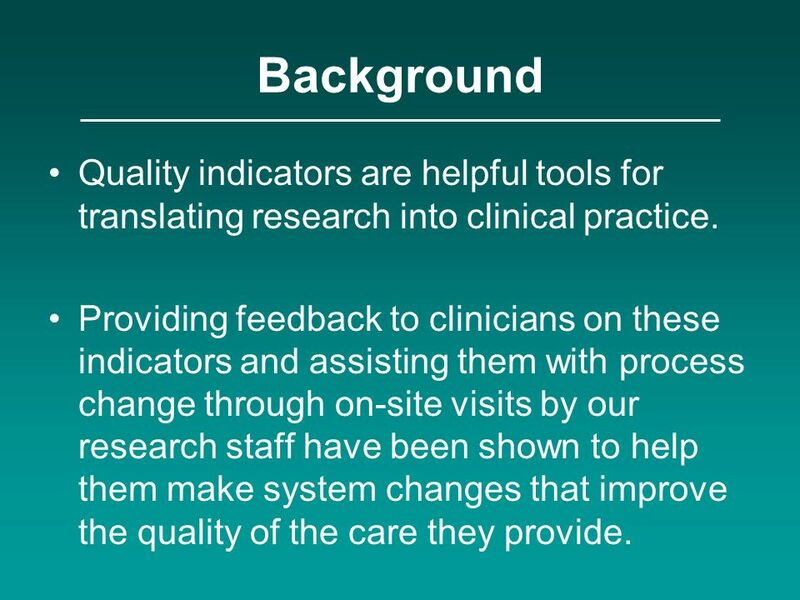 Providing feedback to clinicians on these indicators and assisting them with process change through on-site visits by our research staff have been shown to help them make system changes that improve the quality of the care they provide. 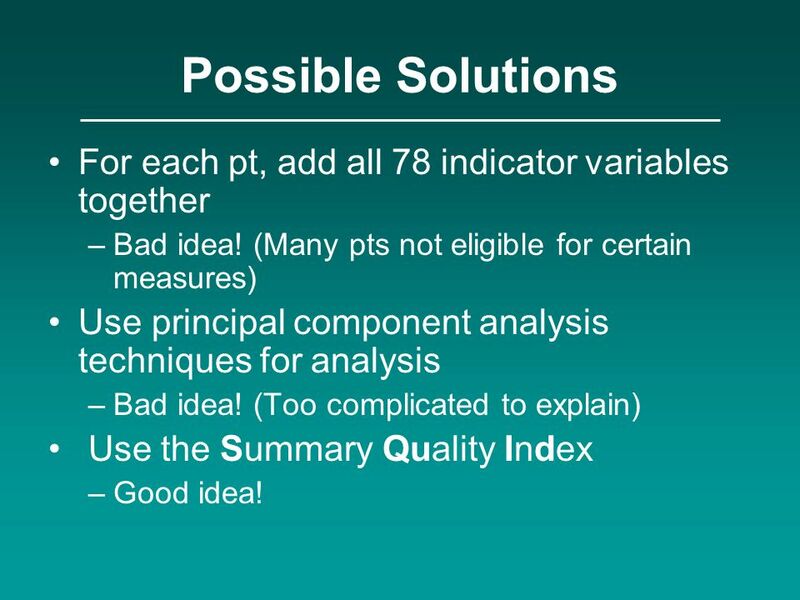 9 Possible Solutions For each pt, add all 78 indicator variables together Bad idea! 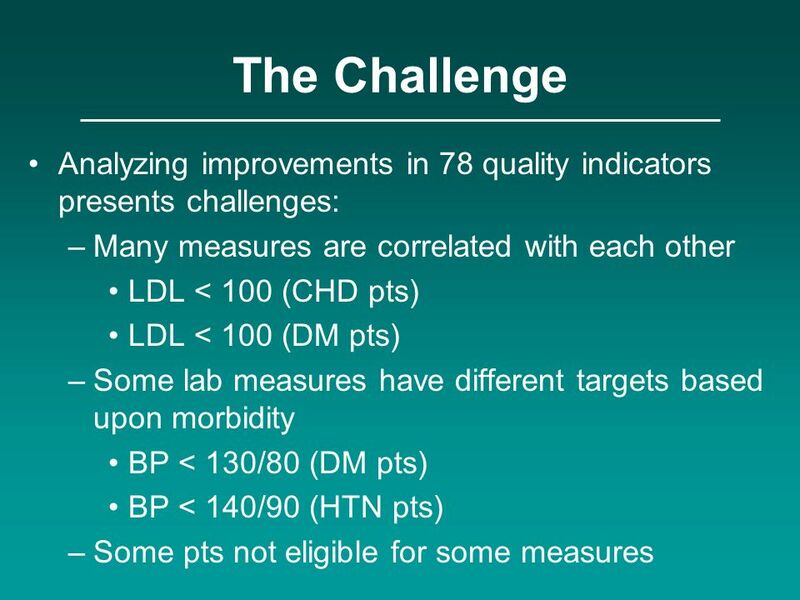 (Many pts not eligible for certain measures) Use principal component analysis techniques for analysis Bad idea! 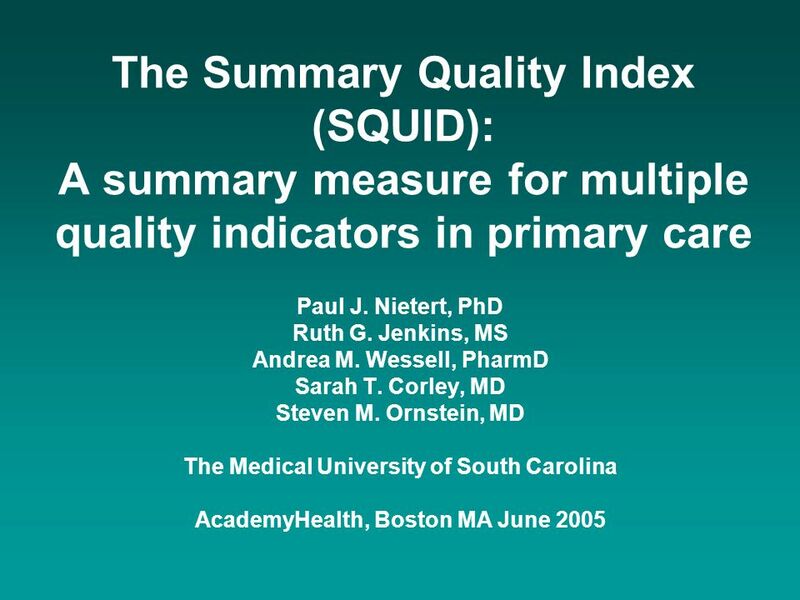 (Too complicated to explain) Use the Summary Quality Index Good idea! 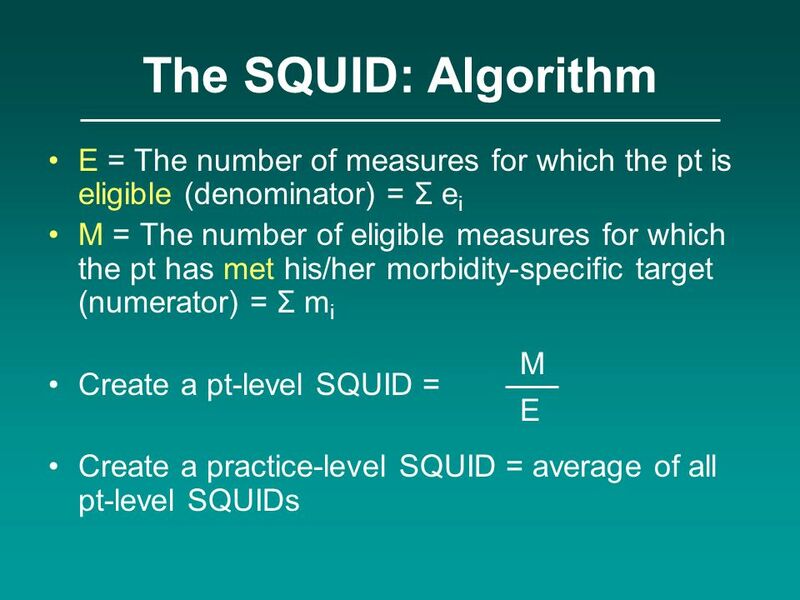 A patient’s SQUID reflects the percentage of targets met out of the total number of targets for which he/she is eligible. 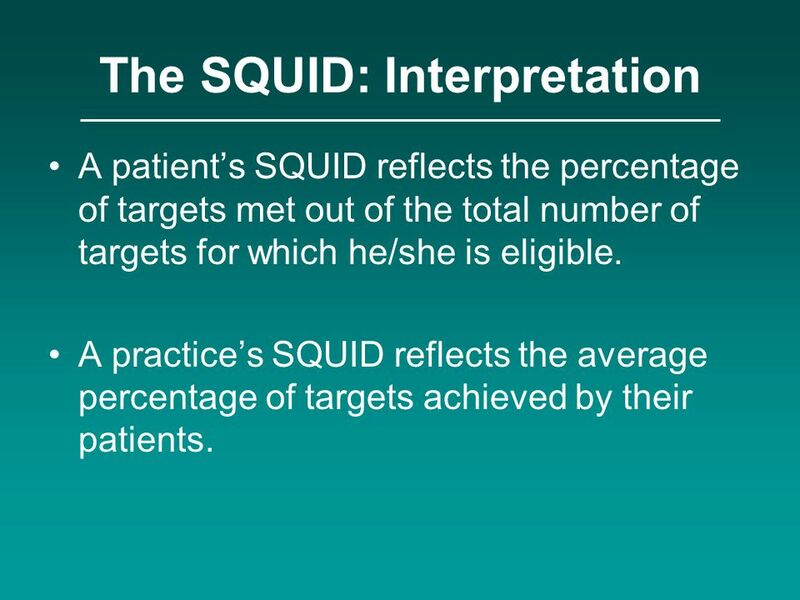 A practice’s SQUID reflects the average percentage of targets achieved by their patients. 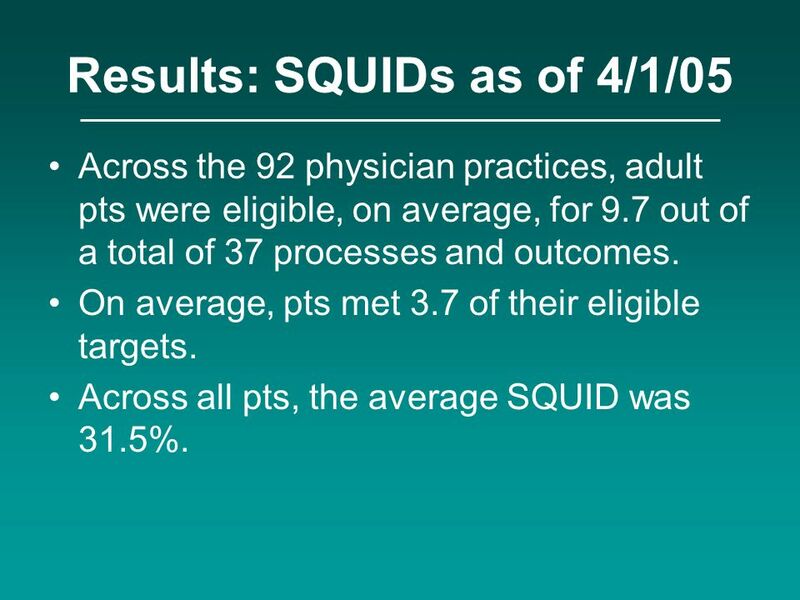 Across the 92 physician practices, adult pts were eligible, on average, for 9.7 out of a total of 37 processes and outcomes. 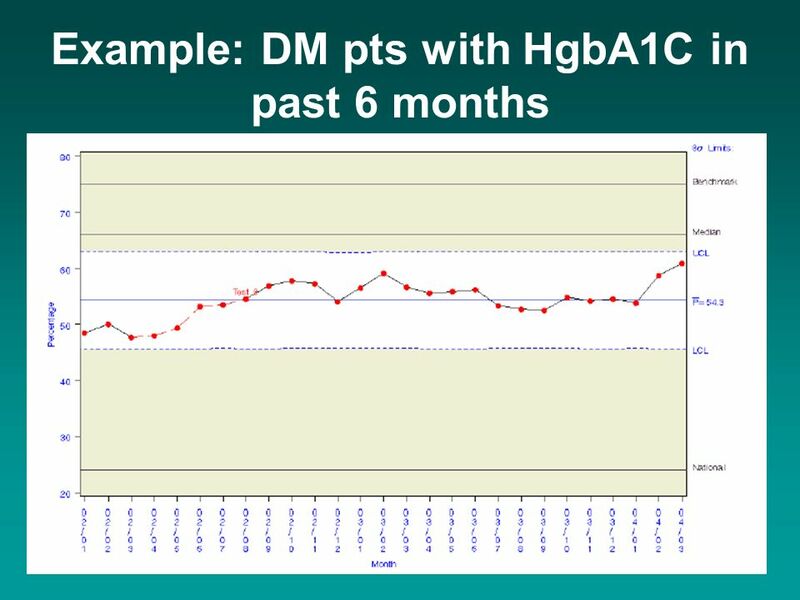 On average, pts met 3.7 of their eligible targets. 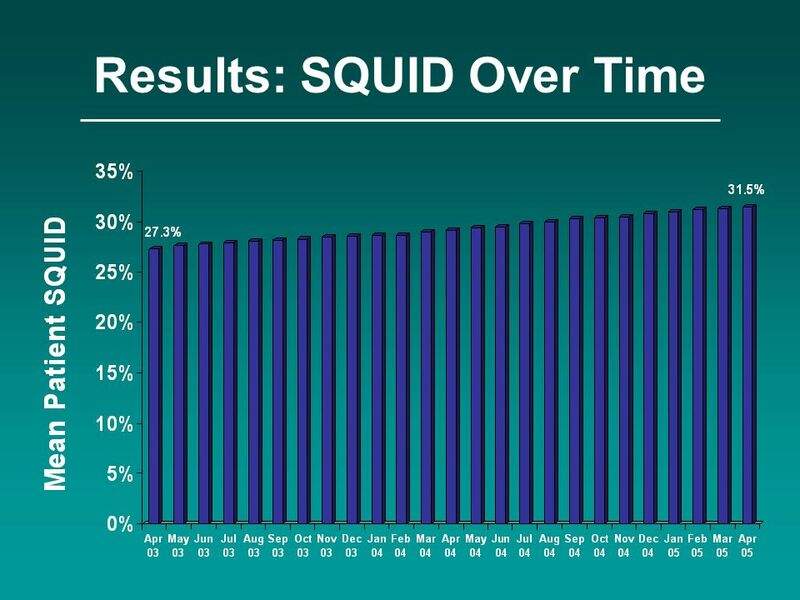 Across all pts, the average SQUID was 31.5%. 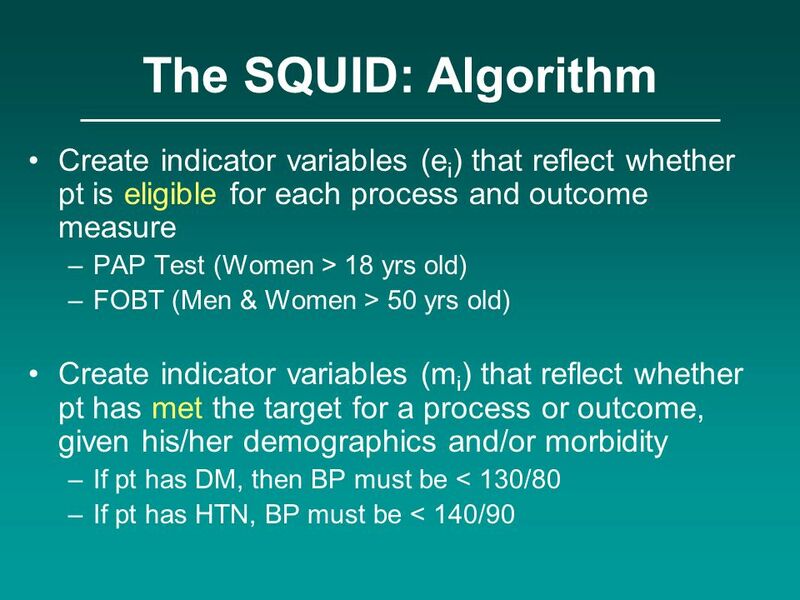 17 Notes SQUIDs can be used in patient-level or practice-level analyses. 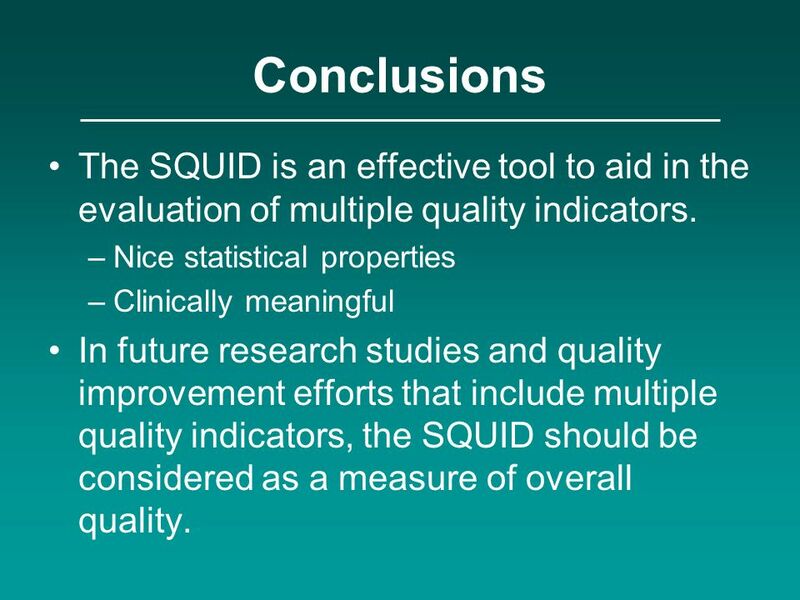 18 Conclusions The SQUID is an effective tool to aid in the evaluation of multiple quality indicators. 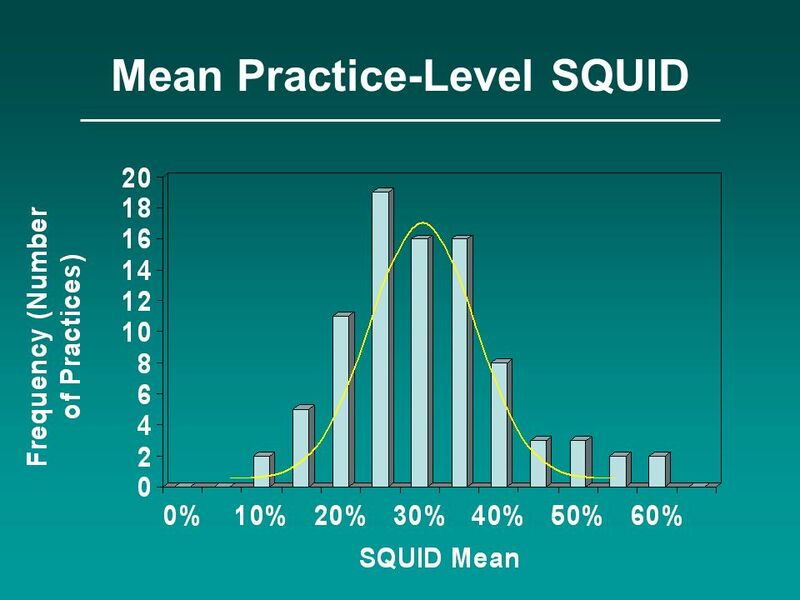 Nice statistical properties Clinically meaningful In future research studies and quality improvement efforts that include multiple quality indicators, the SQUID should be considered as a measure of overall quality. Download ppt "Paul J. Nietert, PhD Ruth G. Jenkins, MS Andrea M. Wessell, PharmD"
Alzheimers Disease: A Case Study Approach to Optimizing Patient Outcomes Applying Landmark Evidence to Clinical Practice Case Studies and Challenge the. Lynne S. Nemeth, PhD, RN Medical University of South Carolina. 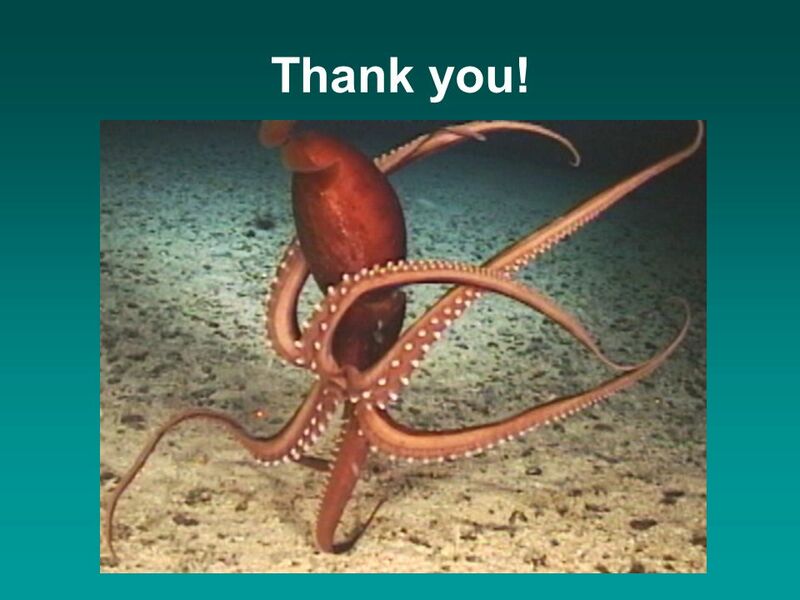 Development-Knowledge Transfer Survey results over time: Recognition of CCGC name was 49-50% in 2002 moving up to 74% by 2003 Ranking of most useful. 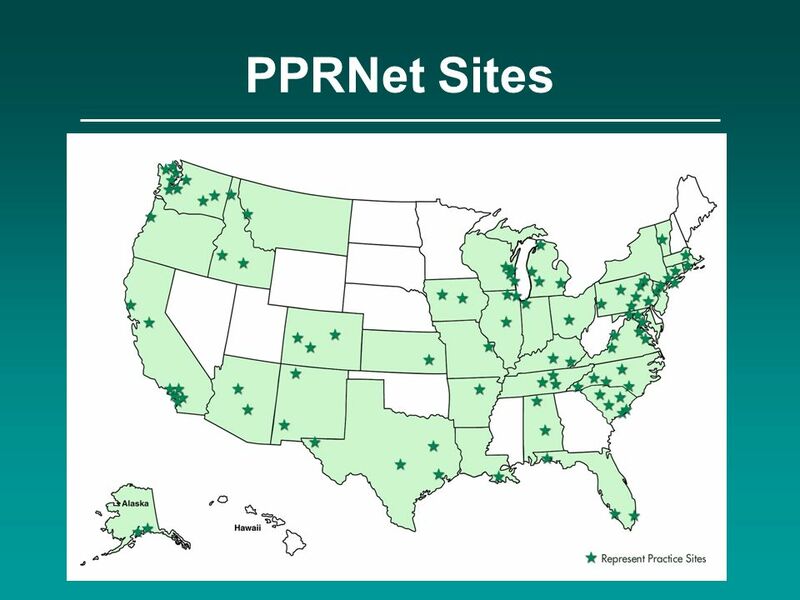 ©PPRNet 2014 Designing a PPRNet PCORI Application to Improve Adherence to USPSTF Grade D Recommendations for Cancer Screening. Preventable Hospitalizations: Assessing Access and the Performance of Local Safety Net Presented by Yu Fang (Frances) Lee Feb. 9 th, 2007. 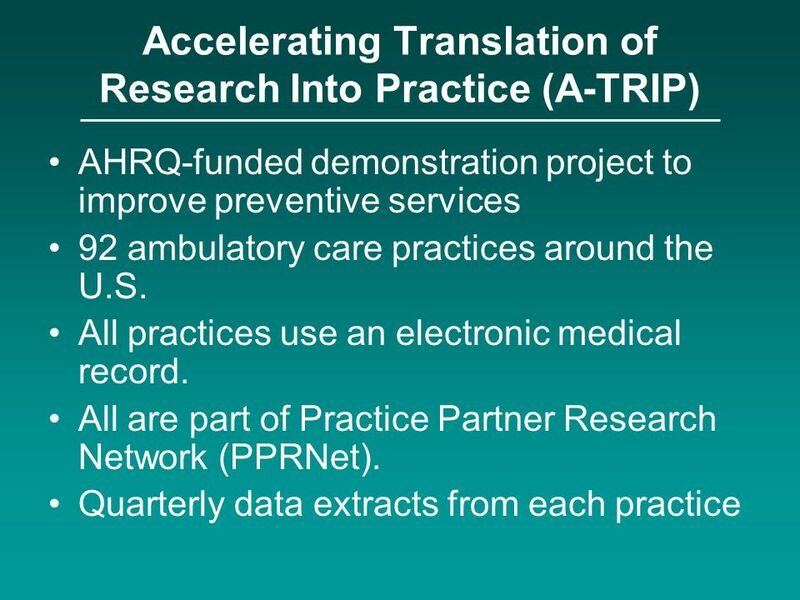  Agency for Healthcare Research and Quality Center for Primary Care Practice-Based Research and Learning. An Introduction to HIV Incidence Surveillance (HIS) in California California Department of Public Health Office of AIDS. 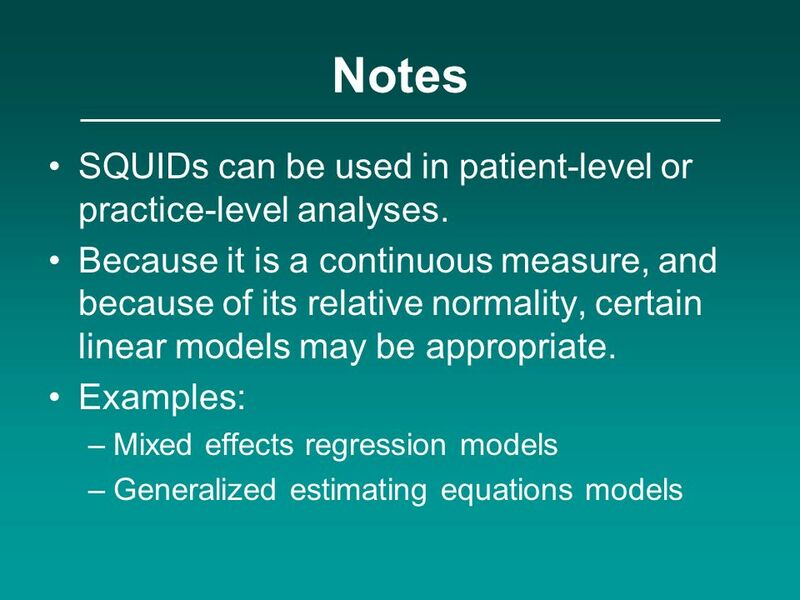 Quality Improvement Research Methods: Issues in Detecting Changes in Clinician Performance Haya R. Rubin, M.D., Ph.D. Lynne Nemeth, R.N., Ph.D. Hoangmai. 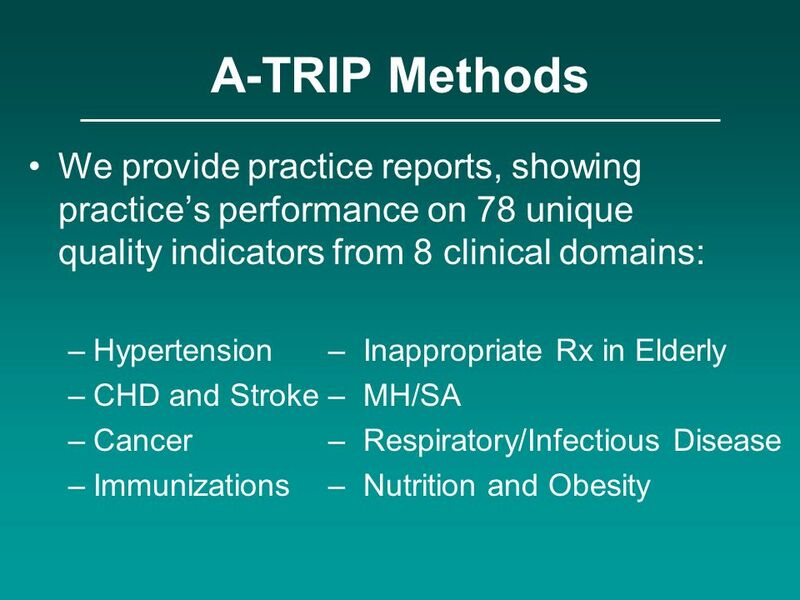 PPRNet Lessons Learned from CKD-TRIP Chronic Kidney Disease: Translating Research into Practice Cara Litvin MD, MS Funded by the Agency for Healthcare. 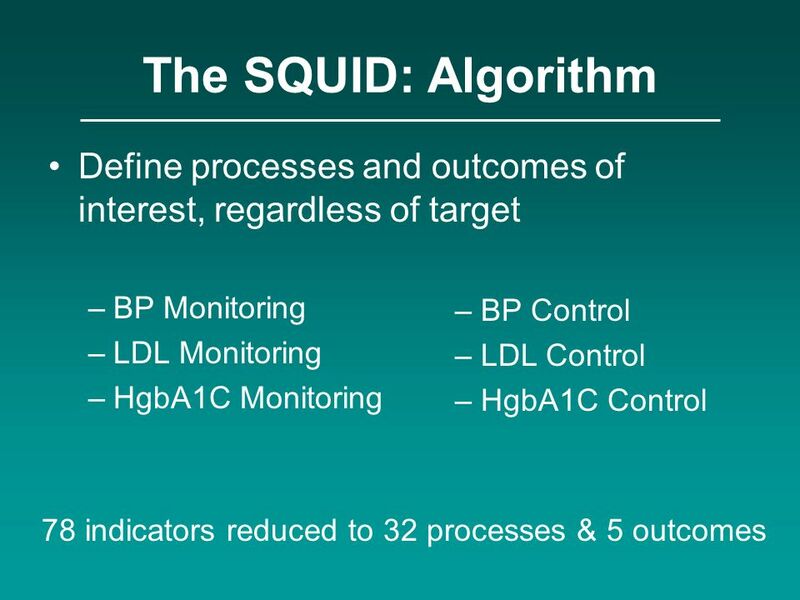 The IC 3 (Improving Continuous Cardiac Care) - PINNACLE Program: A Report of the first 14,000+ Patients Paul S. Chan, MD MScWilliam J. Oetgen, MD Donna.